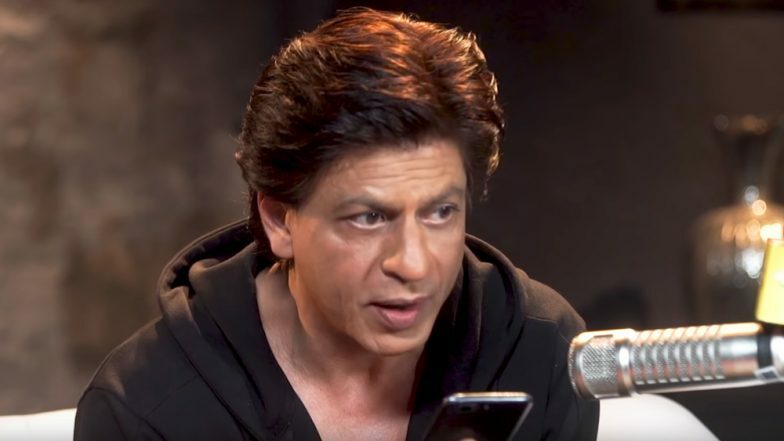 SRK Prank Videos Are Going Viral On April Fools' Day 2019 And It Is Not What You Think! It is April Fool's Day today and your feed might be already flooded with posts curated to fool you. Facebook, Twitter, Instagram and other social media sites are already playing as a platform for the jokes and meme posts based on this theme. Amongst this, there are these funny videos featuring Bollywood superstar Shah Rukh Khan. SRK has always been that witty actor who pulls off the pranks with ease and smart tactics. He has done it several times in the past on various occasions. You will be surprised to know that SRK prank videos are well-searched on the internet. In one of the videos that gained an enormous response, where he is seen playing a prank on his fangirl. On a radio chat show, he called a woman who is apparently his die-hard fan. He talked to her trying to sell a loan to her. She denied it for several times before SRK revealed to her that he is indeed The SRK!! The girl's joy knew no bounds. Probably, she will never forget this prank in her entire life, in a good way of course! However, you will be surprised to know that there is another 'SRK' who exists on the internet and he goes viral for his videos. The search for the 'SRK Videos for WhatsApp' is also high and you might get confused between the two in the first instances. Check out the video below to see who SRK is. Well, we at least saved you from getting fooled with the SRK label, this April Fool's Day! Send these videos to your SRKian friends to prank them and tell us their reaction in the comments section below.